Summary: After her father left, Claire's mother packed up her, her brother, and their few belongings and moved to Iowa. There, they became immersed in the Transcendental Meditation (TM) movement and community. Now, Hoffman looks back on her time so deep within the movement and how it shaped her. What I Thought: I always love how TLC Book Tours helps me discover books I never would find on my own. This is a perfect example. 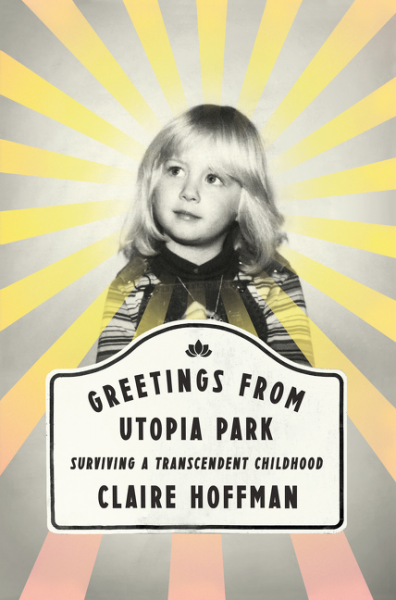 I don't know that I ever would have picked up Hoffman's memoir about her childhood immersed in the TM community if it were not offered to me through TLC. But it was, and I did, and I learned so much. I first learned of the TM community in Fairfield, Iowa back when Oprah visited and talked to members of the group a few years back. She did a whole episode of Oprah's Next Chapter on the group. Now, Oprah made things seem pretty cheery. The episode shows her chatting it up with a couple who moved to Fairfield and are, apparently, living happier, healthier lives there as part of the movement. I find it particularly interesting that the wife feels TM has made her Christian faith stronger. I can see her logic, but it difficult to reconcile with her immersion in the highly spiritual movement. Regardless, Oprah only showed a very shiny side of the community. Hoffman gives a more transparent insiders perspective. Summary: Generations of people have lived underground in the silo. The gray, dusty world above ground is toxic and forbidden. Only criminals sentenced to clean the cameras leave the silo - and they don't return. What I Thought Before: I've been raving about this book for three years now. Loved it then, loved it now. What I Think Now: I was almost apprehensive to pick up this book again. I enjoyed it so much the first time around; I was afraid I had overhyped it in my mind and would be disappointed. I was so delighted to be proven wrong. Summary: Alice is a Harvard linguistics professor at the top of her professional game when a diagnosis of early onset Alzheimer's rocks her world. What I Thought: Believe it or not, I watched the movie first. Very out of character for me, I know. I'll talk about the movie next week. 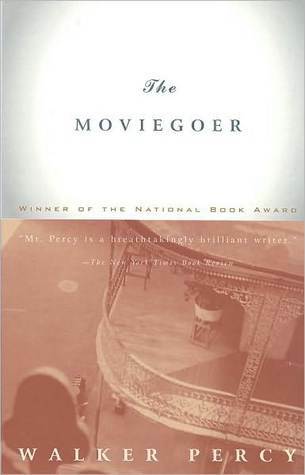 For now, suffice it to say that I checked the book out from the library the same day I watched the movie. Genova has written a very powerful piece. 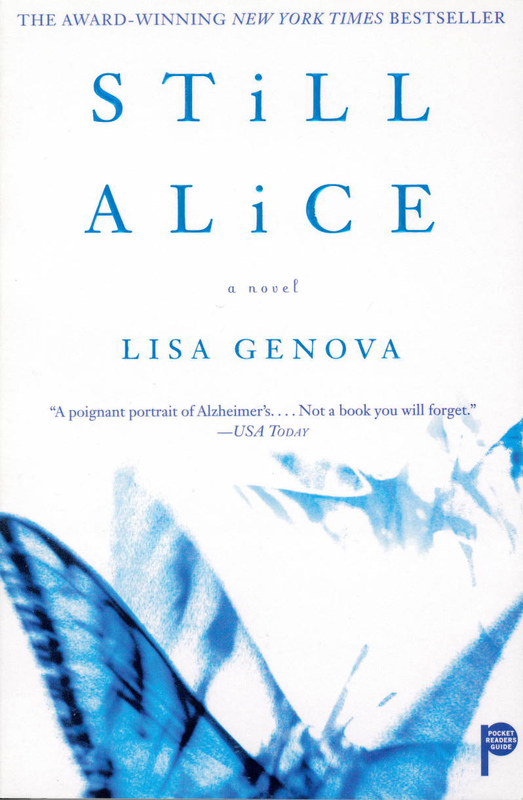 She follows Alice from the time she begins to notice abnormalities in her own memory and behavior throughout the diagnostic stage and well into the point where she struggles to recognize even her family. All is written from Alice's perspective. Of course, we cannot know exactly what it is like inside the mind of someone with Alzheimer's - at least not once it reaches more advanced stages. To me, this makes Genova's work that much more impressive. She captures Alice's emotions and experience so well. She conveys Alice's fears and desires very naturally and organically. She makes it easy to feel connected to Alice, something that can be very difficult with a person suffering from a cognitive disorder. 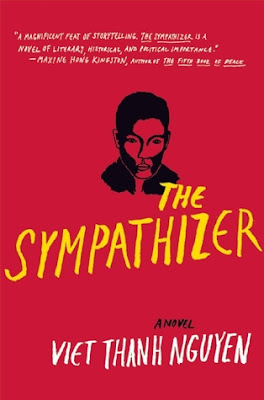 Summary: Told through the eyes of a political prisoner, the novel captures the fall of South Vietnam and the life of refugees in America. What I Thought: Since starting the blog four years ago, I have been very faithful about reading each new Pulitzer Prize for Fiction winner as soon as I could get my hands on it. 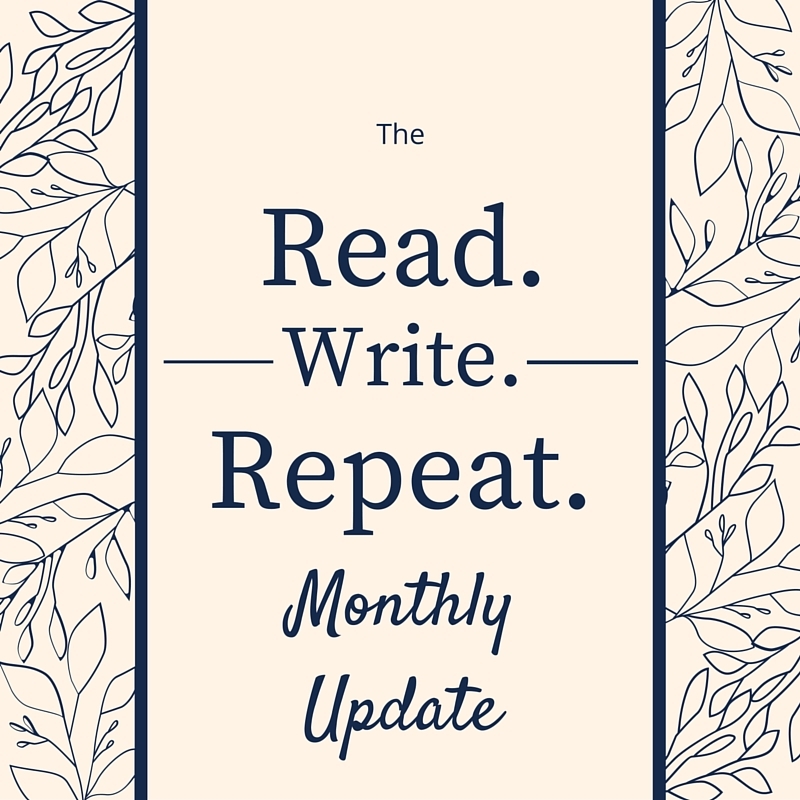 This blog has challenged my reading habits in many ways, continually encouraging me to seek out things I would not read otherwise. I love that - even when I don't love the books themselves. I recognize why this book won the Pulitzer. It's well-written and it examines a largely unexplored time in history from a largely untold perspective. I mean - how many novels have you read about the fall of Vietnam from the perspective of a Vietnamese double agent? Yeah...I thought so. Summary: Satire at its finest. America soldiers attempt to navigate the paradoxical elements of their lives and assignments in Italy during WWII. What I Thought: This is one of the few from Modern Library's list that I had read previously. I remembered not enjoying it much, so I've put it off, despite the fact that it falls very early in the rankings. I was very much hoping to enjoy it more this time around. I figured, too, it deserved a second chance. It's on the list for a reason, after all. I'm glad I gave it another shot. 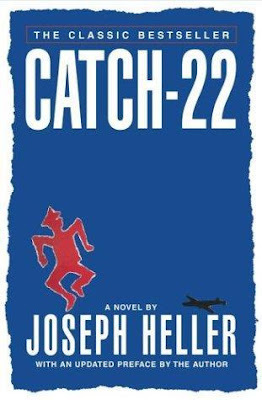 While I still was not blown away in awe or inspired to read more of Heller's work, I had a much greater appreciation for the novel this time around. I think there are a few reasons for that. First of all, I'm not sure exactly when I read it before, but I am at least five years older than I was the first time around. That gives me a much stronger grasp of sarcasm and its virtues. Don't get me wrong - I've been employing sarcasm personally for decades, but it can be much more difficult in literary form. I got it a lot better this time around. I understood what Heller was trying to express through the absurd circumstances and foolish dialogue. Summary: Binx Bolling - what a name! - is a young New Orleans stockbroker who is floundering in life. 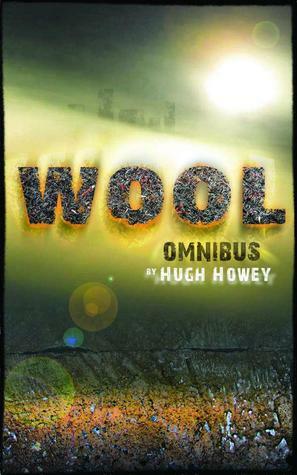 The novel encompassing his existential search for meaning in the mundane. What I Thought: I enjoyed this one overall. It's a nice story and just philosophical enough in nature for me. My favorite part was easily the middle section, when Binx takes a girlfriend to meet his mother's family. The children were wonderful characters (in both senses) and so fun to read about. Other parts stretched on a bit for me, but were still fine. Binx's search for meaning certainly serves as a connecting point for many. I think I may read this one again in a decade or so. I think I'll have more appreciation for it then, perhaps. It did not feel very relevant to where I am at in life right now. Still, I enjoyed it much more than some of its compatriots on the 100 Best list. 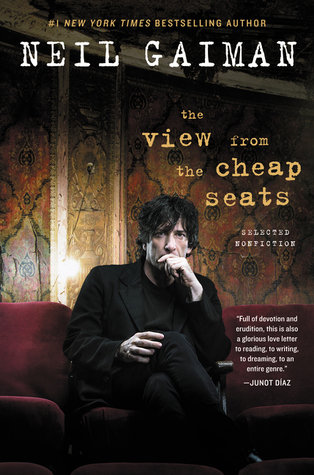 Summary: A collection of essays, speeches, and other nonfiction work from the course of Gaiman's career. What I Thought: I haven't read too much of Gaiman's work, but I am slowly working on remedying that conundrum. He just seems like an author I not only should have read more of, but would want to read more of. I put him in the same category as Margaret Atwood - I want to be a fan, but I really have not exposed myself to enough of their collections to say so definitively. Reading a collection of Gaiman's nonfiction was a wonderful way to get to know him better as an author and a person. Throughout a career so long and distinguished as Gaiman's, one inevitably writes a lot of this type of thing: essays, speeches, forwards for peers' books, articles, commentaries on various and sundry topics. To put them all together in one collection is not only a great way to get them organized for long-time, interested readers, but also a way for newcomers to familiarize themselves with Gaiman's thought processes and writing style. 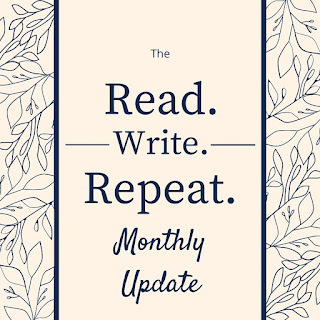 How I Found It: It's been on my TBR for a while. Summary: Once upon a time in Italy, the papacy controlled kings and kingdoms. 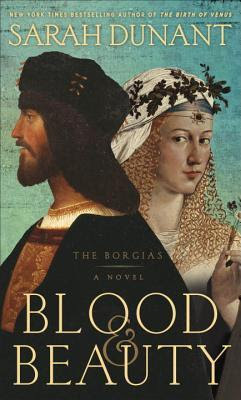 Blood & Beauty takes a historical fiction approach to one of the most powerful families in Italian history - the Borgias. What I Thought: This one has been on my TBR for literally years. I'm always a little ashamed when books stay on the list so long. I mean, granted, the list is 200+ at this point, but still. I need a better system for working through it. Another day, another time, perhaps. Today we're talking about the Borgias. No doubt you heard of this family clan back in your high school global history class. They probably got thrown in their with the de Medici family and brief mention of how certain Italian families had a whole lot of powerful back in the day. If you dug a little deeper, maybe took A.P. European History like I did (and loved! Easily one of my favorite classes in high school. Thanks, Mr. Cave! ), then maybe you heard a little more. How Papa Borgia landed himself on the papal throne and used his position to pull the rest of his family up with him. The fact that popes are supposed to be celibate and not have children to spoil with a flood of nepotism? Well, they were not too concerned about that back then. Morality was no requirement to lead the Church. As is made abundantly clear in the book. Summary: Richard Mayhew discovers the world of London Below after stopping to help a young girl in need on the street. He had no idea what he was getting into, but now he can't get back out. What I Thought: I know people who have both loved and hated this book. Passionately. In either direction. Now having read it, I totally get it. If magical underworlds and quirky characters are not your things, then you should probably take a pass on this one. 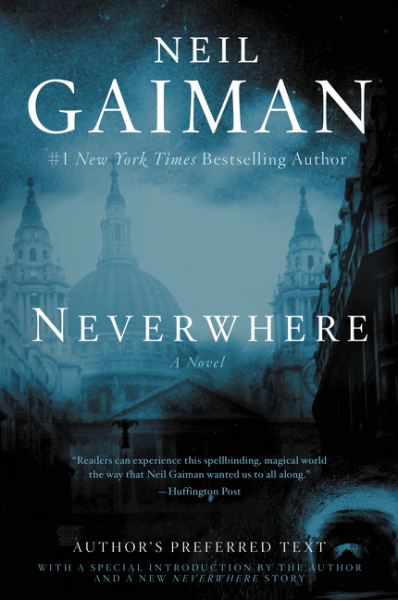 However, if Gaiman's original goal of writing a Narnia-like story for adults appeals to you, I imagine you'll be intrigued by Neverwhere. For me, personally, I landed in the middle. There were things I liked and things I didn't. I loved seeing Gaiman's imagination at work; the colorful cast of characters and the eccentric settings made for an exciting new mental image at every turn. I can only imagine the visual feast a film adaptation would be. Apparently it started as a British mini-series, so maybe I'll need to check that out. The feast for the imagination kept me plenty satiated, which is good since I didn't love the plot. 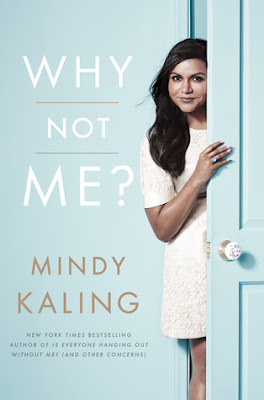 Summary: Much like her first memoir, Kaling chats about life, love, and her career in front of and behind the camera. What I Thought: Kaling is so relatable and that makes her books so fun to read. She does a great job breaking down the glimmer of the Hollywood lifestyle and showing that she, at least, is a very real person with very normal habits and emotions. She just gets to go to award shows sometimes and stars in a hit television series. No big deal. The book is funny and thoughtful. Kaling is clearly becoming more comfortable with herself as she grows older, as most of us do. She talks a lot about what it's like to be a woman in the entertainment industry, particularly in comedy. This, specifically, is an area in which she seems to have gained confidence. One of my favorite lines was, "And the scary thing I have noticed is that some people really feel uncomfortable around women who don't hate themselves. So that's why you need to be a little bit brave." Any woman who has pushed back against the patriarchal expectations of our culture even a little can see some truth in that statement. There is nothing ground breaking here, but the book is enjoyable and entertaining. It's a fun read and an easy one. Summary: Zack Lightman is a big time gamer, but he knows the difference between reality and science fiction...at least until he's recruited by the government to fight real life extra terrestrials. What I Thought: This book was so fun. Cline blends tons of real life pop culture with some futuristic fictional stuff as well to create an exciting, compelling story. 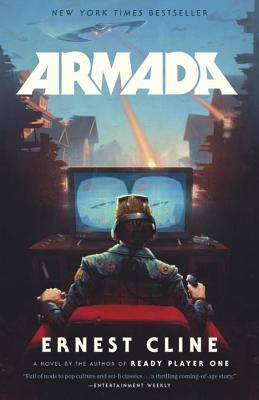 As I mentioned when I reviewed Ready Player One, Cline's first novel, I am a nerd, but not a gamer. Thus, many of Cline's references are lost on me and I certainly cannot relate to the obsession with video games so many people enjoy. Even still, there is plenty of sci-fi fun for non-gamers here. Cline packs the book with reference to not only video games, but also TV shows, movies, music...basically any form of entertainment you can think of. In the plot, much of this mass media was created or funded with the intent of preparing the general population for an alien attack without causing panic and paranoia. Turns out, much of humanity was training to fight against invasion without even being aware. Once Zack learns of what's really behind most of his favorite media, the story takes on its own life. It's a great premise, but also a pretty decent follow-through as well. Cline delivers some great battles despite the video game inspiration. I think this one would play really well on screen. How I Found It: I've heard about it from several outlets. 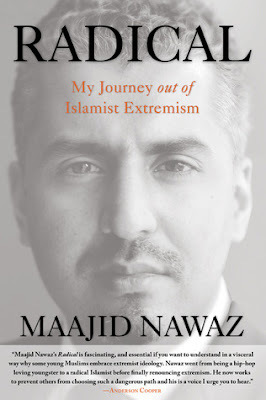 Summary: Once an Islamist extremist, Maajid Nawaz has now dedicated his life to educating others on this dangerous movement. What I Thought: "Simply defined, Islamism is the desire to impose any given interpretation of Islam over society as law. Understood in this way, Islamism is not another religious schism, but an ideological thought that seeks to develop a coherent political system that can house all these schisms, without necessarily doing away with them. Whereas disputes within Islam deal with a person's approach to religion, Islamism seeks to deal with a person's approach to society." This quote from Nawaz's book is an important starting place. Islamist extremism and the religion of Islam are not the same thing. A similar, though not exact, comparison would be this one from the post-9/11 episode of my favorite TV show, The West Wing. Oh, Aaron Sorkin. Thanks for your continued efforts to educate our country, even if you claim it was exclusively in the name of entertainment. Of course, we've come a long way in our understanding of the difference between extremism and mainstream Islam since this episode premiered back in 2001. And, yet, have we progressed at all? Hatred against Muslims seems to be at an all-time high in our country right now. Plenty of news outlets have reported interviewing Muslims who feel more in danger now then they did after 9/11. We have a long way to go. Summer is here! At least in North Carolina, the hot, muggy days have officially arrived, afternoon thunder storms and all. It's wonderful. I know there are plenty of people who loathe the high temperatures and humidity, but the Napp house celebrates this time of year enthusiastically. I'd rather wear frizzy hair in a topknot for three straight months then see a single snowflake or pull out a winter coat. The blue skies and sunshine feed my soul in a way few other things do. Of course, it helps that summer brings a freedom the remainder of the year rarely affords. I'm still teaching this summer - not even just online, which is a new thing for me - but even that allows for much more time off than during the school year. I worked incredibly hard during the break between terms to get all of my summer prep work done. Now, even though I am teaching for the next eight weeks, all I really have to do is show up and grade. I'm not even going to think about fall prep work until at least mid-July.